I received my PhD in Clinical Psychology in 1999 from the American School of Professional Psychology (San Francisco Bay Area campus). I earned a Masters in Teaching in 1983 from Stanford University and have my undergraduate degree from Stanford as well. 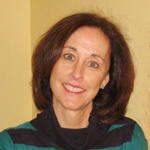 I am a credentialed teacher in both elementary and secondary education (English, Foreign Languages) and worked for many years in the Kentfield School District as a teacher of English, Spanish, ESL, French, Social Studies, and Computers. I began counseling students and running Family Change groups for children of divorce in the Kentfield District and also worked as a school psychologist through the Marin County Office of Education before opening my private practice in San Rafael. For many years I have served as a consultant to several Marin County school districts as well as to Marin County Juvenile Probation, providing psychological evaluations and recommendations for emotionally disturbed children as well as children with learning disabilities and behavioral problems. I am a supervisor for New Perspectives of Marin (Bay Area Community Resources), an organization that places doctoral interns in schools throughout Marin, and I also supervise doctoral-level students in the Child Testing Program at Family Service Agency of Marin.